Herein lies POWER to renew your mind and change your life. Christian education is my calling. Speaking that challenges and inspires towards positive change is my passion. 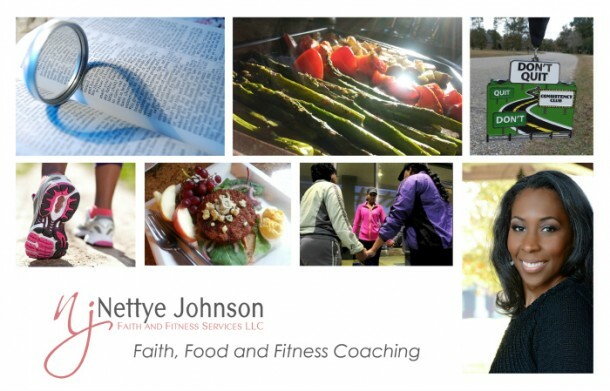 Following is a partial listing of National Baptist Convention Congress of Christian Education certified courses, custom workshops and speaking topics offered. What is mankind’s default state? Emphasis is placed on the application of these truths for personal assurance/security and for evangelistic teaching to others. Typically offered as a follow-up session to the Salvation class, this one hour session lays the foundation for spiritual growth thru the study of God’s Word. Topics include important facts about the Bible, the layout of the Bible, version designations, tips for finding an appropriate study Bible, other helpful Bible study tools and direction on how to start a discipline of personal Bible study. This course is designed to enable people to mature in their Christian walks. It will focus on a creative and dynamic approach to nurturing people from children to mature adults – to become better disciples of Jesus Christ. Students will discuss what it means to be Christians. Note: The class and instructor are certified by the National Baptist Convention USA, Congress of Christian Education. Certificate of Progress Program Course # 6021 (Phase 1 required course). How active and effective are you for the Lord? Scripture makes it clear that every believer is given spiritual gifts according to the Holy Spirit’s choice or direction-for the purpose of edifying other believers. Spiritual gifts can change and affect every aspect of your life. God wants you to know and use your gifts. This class will give participants a biblical understanding of the definition, types, and purposes of spiritual gifts. Additionally, participants will discover their own gifts, examine gifts at work in others, and understand how they influence and relate to their personal life and the work of the church. 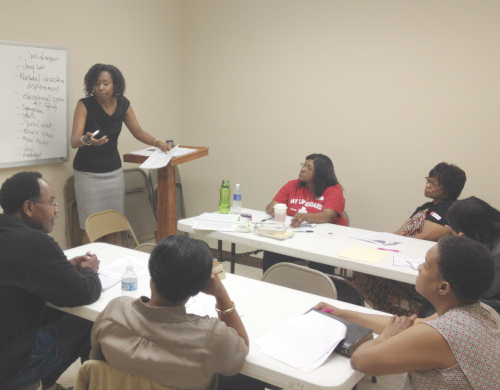 Note: The class and instructor are certified by the National Baptist Convention USA, Congress of Christian Education. Certificate of Progress Program Course # 7024 (Phase 2 required course). This course is designed to help students answer the questions: Why am I Baptist? and What do Baptists believe? The class is guided through an exploration of the foundational Baptist doctrines and how they apply to our contemporary setting. 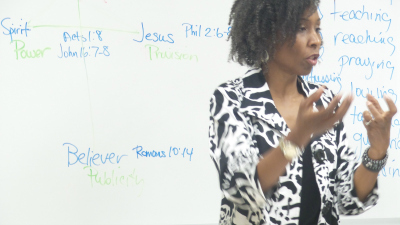 Note: The class and instructor are certified by the National Baptist Convention USA, Congress of Christian Education. Certificate of Progress Program Course # 2011. Every child of God should recognize the fact that he is a steward of God and that he really does not own anything; his life and all his property, together with his natural ability and acquaint accomplishments, belong to God and should be for God. This course covers the basic tenets of Christian stewardship – time, talent and treasure. Through a better understanding of the spiritual principles, practices and contributions that Christian Stewardship makes to personality development and Kingdom growth, the student will be able to more effectively manage the resources with which God has blessed him. 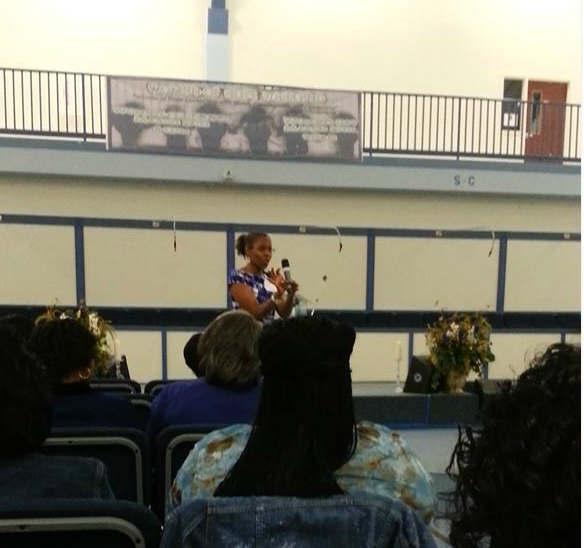 Note: The class and instructor are certified by the National Baptist Convention USA, Congress of Christian Education. Certificate of Progress Program Course # 206. The book of Romans is a carefully constructed summary of Christian theology. This course explores micro and macro outlines of the book of Romans and aims to give students a better understanding of the life changing teachings of salvation, justification, sanctification and righteousness. As a result of this course, participants will be empowered to share and show our position in Christ. Note: The class and instructor are certified by the National Baptist Convention USA, Congress of Christian Education. Certificate of Progress Program Course # 1089. This course teaches the basic steps in developing a program of evangelism. Participants will discover the basic scriptures to use and techniques to witness to the non-believer. Methodology includes lecture, discussion, group activities, individual practice and outside class assignments. The 10 hour session is most effectively conducted over multiple days (ex. 2 hours a day for 5 days). 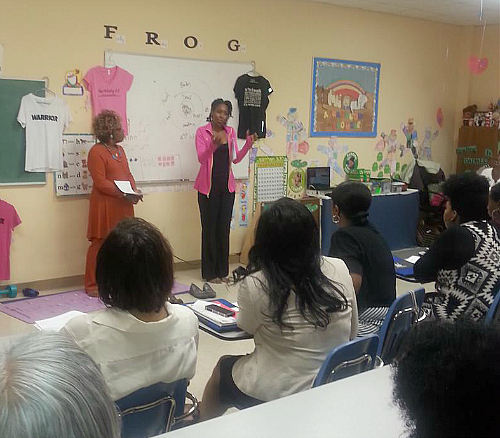 Note: The class and instructor are certified by the National Baptist Convention USA, Congress of Christian Education. Certificate of Progress Program Course # 7005. This course is designed to teach practical skills for sharing biblical knowledge, leading people through the Scriptures, introducing the Gospel, leading a person to Christ, praying for repentance and forgiveness and introducing friends and family to Christ through relating the Gospel. 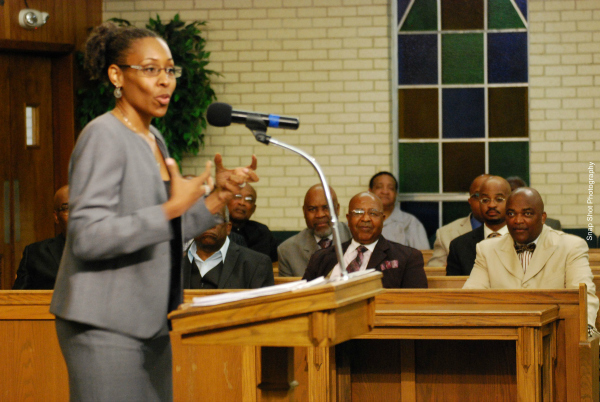 Note: The class and instructor are certified by the National Baptist Convention USA, Congress of Christian Education. Certificate of Progress Program Course # 7002. Based on the above titled book by Dr. George McCalop, this workshop explores the privilege and powerful offensive weapon of praise. Various forms/expressions of praise are covered including: dance, lifted hands, singing/music, the use of His names, sacrifice, holy offering, thanksgiving etc. Youth of every congregation have special problems they face. This workshop helps youth ministry leaders recognize needs, and create outreach and programs to address our young people’s issues. Older adults have become the fastest growing segment of the population and it is estimated that 25%-35% of the members of most major faith groups are over 65 years old. The increasing number of older adults in our nation will become a larger and larger factor for effective church ministry and growth. This workshop examines the needs and gifts of senior adults in our church population. Ideas and examples to help the local church leader start and maintain a productive senior adult ministry program are explored. This workshop helps participants assess and develop their prayer life. The course begins with the two way communication aspect of prayer, scripture exploration of what prayer can accomplish and factors that delay God’s response to prayer. Instructional elements on how to pray are then explored including the ACTS prayer model, the examination of prayers in the Bible and the differences between public and private prayer. Tools to promote prayer including prayer journals, prayer partners and prayer groups are also presented. Designed and conducted for Deaconess ministries, this workshop helps prepare the Deaconess for a role beyond the traditional ceremony of service to being active agents of God’s healing to other women in the Church and the community. It explores the need for a changing role of deaconesses and thru scripture, real examples and practical methodology lays out a plan to nurture and address needs. 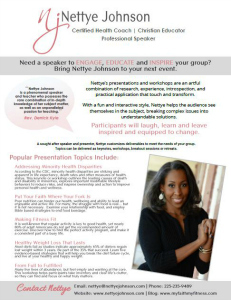 If you’re interested in booking Nettye for an upcoming class or workshop, download her Speaker OneSheet for more information and complete the Booking Inquiry Form. Someone will be in touch with you soon to discuss the details. Thank you for your inquiry!